Progress of Wrexham’s new arts and market facility has been welcomed by councillors, however questions still remain over footfall figures and future success of the facility; along with an odd comment from a lead councillor over the existence of a previous meeting. 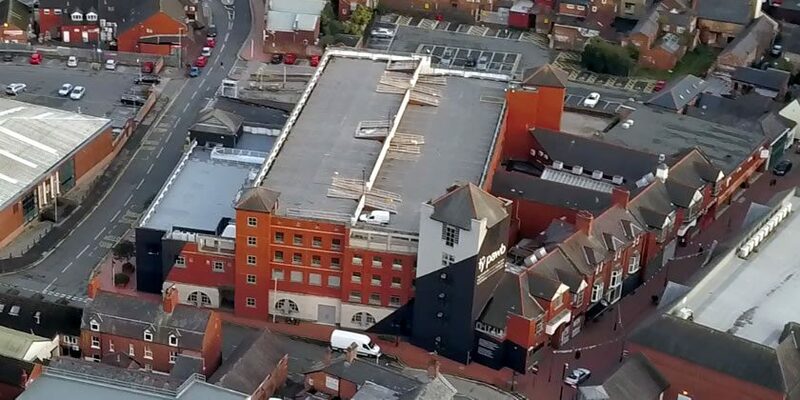 Back in June a committee of councillors had concerns over the progress of the new arts and market centre in the town centre, asking for a report to be brought forward several months early to discover if a ‘wobble’ was taking place. The past few months have seen ups and downs for Tŷ Pawb, which came to a head in August 2018 when it was revealed that the at the time the council hadn’t collected a single penny in rent since the facility had opened. Wrexham Council also faced strong criticism from some traders who accused the local authority of “dragging their feet in getting the paperwork sorted”, with one trader telling us yesterday they still had not signed paperwork and was disputing a legal fee. However just three months later the picture of Tŷ Pawb was presented as unimpeachable by Cllr Hugh Jones, lead member for communities, partnerships, public protection and community safety, who described the facility as the “jewel in Wrexham’s crown”. Speaking at yesterday’s employment, business and investment scrutiny meeting, Cllr Jones said: “The report in front of us is a report which is strong on figures and a significant amount of detail relevant for the topic being discussed. Cllr Jones continued: “There is a temptation to measure success in monetary terms. We need to remember the thousands of people who have visited already, the number of young people who enjoy learning experience in Tŷ Pawb. 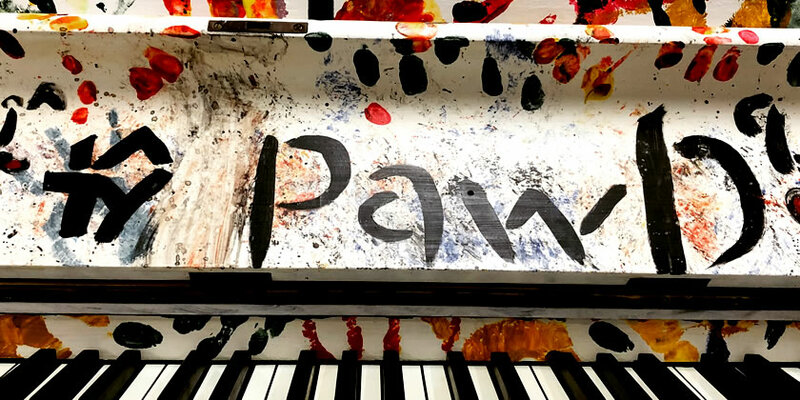 “We are providing an opportunity for local people to show their art works, talents and skills. A number of businesses are establishing themselves in the new venture. “The picture is a very positive one that we can confidently look forward to going forward. 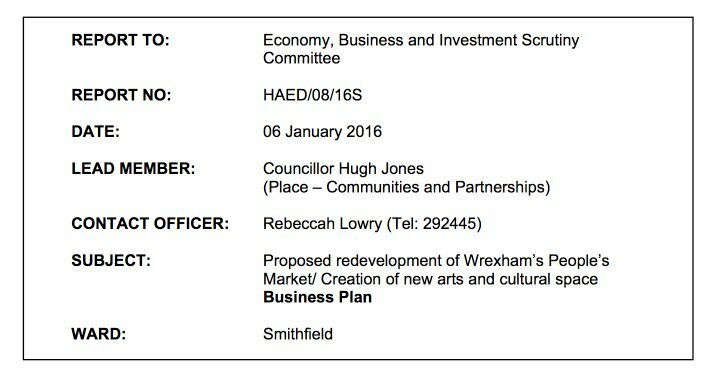 Last week Wrexham.com reported that Tŷ Pawb was working towards a revised business plan and targets, rather than one devised by consultants ‘Fourth Street’ a few years ago, with the meeting last night at one point referring to an even earlier plan by another set of consultants. The headline figures in the revised financial report show the centre is on track to be in a better financial picture than predicted under the old business plan, with a £188k loss being ‘just’ £173k despite an acknowledged ‘wobble’ – however the council’s £139k arts budget effectively means the entire Tŷ Pawb project is being delivered for a predicted £33k shortfall in year one, and that is not counting spend that may have been required on the Peoples Market. Those councillors who spoke were accused of being ‘slightly negative’ by their colleague Cllr Alun Jenkins, who preferred to look at the positives that emerged in the meeting. Cllr Rodney Skelland, a self-confessed critic of Tŷ Pawb from the start, said that constituents in his ward ‘stop him and ask’ why the council have put millions into the project. 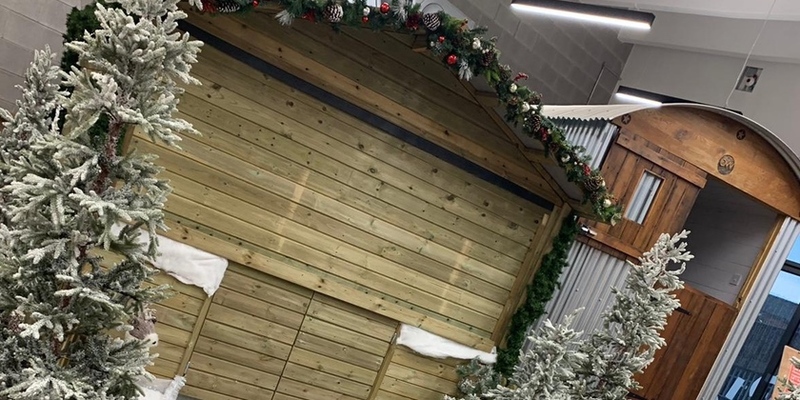 He said: “People say you have spent £4.5 million on it and they’ve walked through and there have been few people in there, it does generate a lot of discussion in my ward. I have to defend it. “But when I walk through sometimes the footfall doesn’t seem to mirror what we read here. When I talk to traders they say the one thing they don’t have is customers because of the footfall. “I was a critic right from the start as I thought the Peoples Market was good. We had a task and finish group and committee looked at it and we were going to have an internet market there. “That didn’t happen, the Vibrant and Viable Places money came along and it was dropped for this project. It is a very rosy picture you’re painting, but what are the long-term prospects? “It did take a long time to start, I had people coming to me saying it was a building site. It has moved on, but what is the future? However Cllr Jones said while Cllr Skelland “talks about the committee criticising the business plan, it had never been brought to this committee”, adding that “Cllr Skelland’s’ starting point is different from reality”, noting the actual council contribution of £1.5m with the Arts Council Wales providing £2.3 million and £700,000 from the Welsh Government Vibrant and Viable Places scheme. A quick look through the Wrexham.com and Wrexham Council archives show that such a meeting did take place in January 2016 – a meeting Cllr Skelland and Cllr Jones attended and we observed for the three hour duration from the public gallery and wrote a long report on it – the meeting being memorable for the farcical end. Cllr Geoff Lowe said he would like to see Tŷ Pawb succeed “mainly for traders who have had the courage to set up a business there”, but noted that he has also seen low footfall when he has walked through the buildings over the past few months. Cllr Lowe also referenced the challenges facing the high street and businesses across the country at the moment. Such reference is also made in the appendix two of the Tŷ Pawb report about traders leaving. However Blank Canvas, who operated a coffee shop in the building, left the facility citing ‘management issues’ – choosing instead to return back to their shop in Bank Street in the town centre. Cllr Lowe continued: “It is important we do give it the back it needs to get through a difficult time. The people of Wrexham deserve a success story. “We need to see positive signs that we are able to fight our way through the decline in the country at the moment. Few questions were asked on the subject of traders, with many focusing on the overall finance of the centre itself, a position not helped by the lack of external input to the committee meeting. Alex Jones, co-owner of Plât Bach in Tŷ Pawb, was invited to attend the meeting in his capacity as chairman of the Town Centre Forum and was expected to comment on his experiences at the facility. His business partner also attended the meeting, but did not appear to contribute aside from shaking his head in apparent disagreement when Cllr Hugh Jones referenced the ‘excellent footfall figures’. Just before 5pm both left the meeting, with Alex Jones turning to the public gallery branding it a ‘waste of time’. Later we asked him about his comments and he told us just before the meeting the Chairman Cllr Roberts told him he was attending as Forum chair rather than a trader and had made it clear via the committee Chairman they had a prior engagement so would have to leave early. Mr Jones told us as he runs the Town Centre Forum meetings, and no questions had been put to the Forum nor feedback invited, he was unsure what he would have been asked on if he had stayed, and queried if this was a method to say the Forum had been consulted when it had not. Mr Jones noted he would have been happy to answer any questions in his position as a trader. We spoke with councillors who told us that in the ‘pre meeting’ meeting of the committee members expressed a desire to hear from a wide number of sources, including traders if they attended. Some after the meeting expressed surprise that Mr Jones was not asked for his first hand views. The running of the meeting is in the gift of the Chairman, which includes who is called to speak and when. Chair Cllr Roberts and Mr Jones are certainly aware of each other, having faced off in the battleground of Erddig in last years council elections. 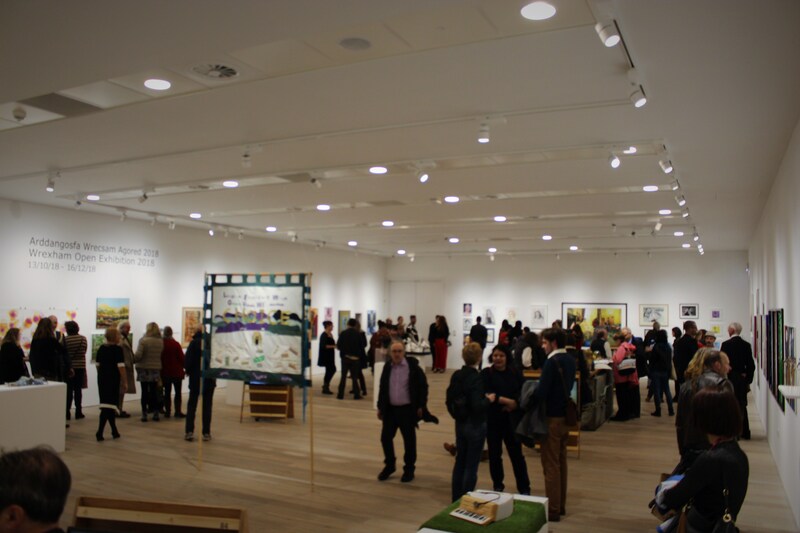 Cllr Davies said she did not want any such deficit funding to come from the council’s revenue support grant allocation, ‘otherwise we would be cutting education and social services to fund the art project’. A previously stated £120k Arts Council grant was pointed to by Cllr Davies, which the meeting was told was now had a 4% cut to £115k. Cllr Davies asked a specific question on if the centre was being run at an ‘ambitious’ or ‘conservative’ business plan, with the oddly precise wording later making sense as she revealed she was quoting an earlier report presented to the council’s Executive Board in 2015. The query revolved around the make up of the council’s own arts budget, on if it contained a match fund with the Arts Council Wales or not, with Cllr Davies appearing to think the latter. Further detail was assured to be provided to Cllr Davies after the meeting to show that was not the case. Cllr Davies queried if Tŷ Pawb would be subject to support cost charging internally like other services are in Wrexham Council, with the example of such costs being put on schools recently in an effort to tighten budgets with HR, Legal and other such services now ‘billed’. Cllr Hugh Jones pointed to the ‘significant education’ programme in the centre, apparently missing the point of the question. The meeting was told by an officer that the figures were not in the current figures, and no forecast was available, however they will be included in the year end report and no change to the outturn was expected. Cllr Davies requested an update on the progress of the Tŷ Pawb Advisory Board, noting the last the committee had heard was interviewing for members was taking place. Chair of the Board Derek Jones provided a comprehensive update of the make up and progress of the board, that has met several times this year but is targeting January for the first ‘proper’ meeting of real progression having been in ‘receiving mode’ previously. Mr Jones took the entrepreneurial opportunity to note his own personal involvement in Tŷ Pawb via a music orientated programming on Thursdays, inviting all to come and visit to experience it themselves, also securing a mention of the event via this report. Mr Jones also gave the meeting its only non-councillor or non-council officer viewpoint on Tŷ Pawb, noting comments he had to the centre from visitors outside the area that were “100% positive”, with one common comment that stuck in his head along the lines of ‘we wish we had a facility like this in our town’. Cllr Davies said she thought the Board would possible ‘morph into a trust’ to then take over the centre and enquired if the structure made that an easy process. Cllr Hugh Jones replied, reiterating what he told Wrexham.com last week, that the advisory board will ‘make recommendation at some point in three years’ regarding the appropriate governance and delivery model for the centre, and such a recommendation would go to the Executive Board for a decision but nothing was being prejudged. Cllr Davies felt the need to reiterate her support for the centre, and explained it had been suggested to her that some council officers were ‘surprised I was there so often’ as they had the impression that her scrutiny of the business plan implied no support. A quick glance on the Tŷ Pawb Facebook page, the main source of information on what is going on at the centre (the What’s on Page link on the website for example clicks directly through to Facebook) shows a relatively low engagement level, meaning unless you are a registered user on a platform and their various algorithms are in favour of showing you posts, you’re unlikely to see the information. The meeting was told by Officers that one thing Tŷ Pawb will be looking to do more of is to “pay for social media presence, to get more prominence”. No reference was made to how else events or Tŷ Pawb would be marketed, however the budget was noted as reduced from £75k to £40k. For the record Wrexham.com informed Tŷ Pawb management earlier this year we will not be open to any paid promotion from the centre due to the verbal abuse received from a Wrexham Council employee unhappy with our previous reporting on the centre. Interestingly one such ‘clickbait’ article contained a question and answer the Chair of this committee asked, as noted below. Thus the above is not a pitch for using this site for ads, and we continue to promote the centre on an unpaid basis. As the committee offered no more questions the Chair Cllr Paul Roberts held his own mini quick-fire question and answer on a range of topics. Cllr Roberts asked questions on depreciation if and when the centre moved into a trust, but was told it would depend on the model, and some areas such as business rates could see costs lower in a trust. Cllr Roberts was most critical on the footfall data, preferring harder stats via footfall counters rather than headcounts, saying it was ‘not satisfactory’ the equipment was not in place by now. An officer explained there was a range of issues that had prevented the installation, including interference with heaters, that had all been resolved so it is expected full counting will start in the new year if not sooner. The Chair queried if any revenue had been lost when the main gallery had to close due to a water issue earlier in the year (clickbait detail here) referring to ‘well published technical difficulties’ causing ‘major disruption’, asking if Wrexham Council and therefore the taxpayers were out of pocket. Cllr Hugh Jones replied that ‘full cost recovery’ had taken place, praising the contractors for their subsequent response and work. Cllr Roberts probed details on invoicing and outstanding debate, being told normal council procedures apply for those who do not pay the issued invoices. Not being done with that stream of quick queries, he wrapped up by asking about how the formally privately run bar area in the centre was now run by the council, and how that revenue stream would ‘stack up’ against the rent lost. No definitive answer was given due to the early days of the new venture, but it was described as an ‘opportunity’ and that things had ‘started off well’. As the meeting wound down Cllr Hugh Jones reiterated “Tŷ Pawb is a success, there are no questions about it. All the evidence and figures show it is a success and I do not think anything”, earlier Cllr Jones had noted the only criticism had come from ‘keyboard warriors’ online. The committee agreed to meet in June 2019 to scrutinise more detailed figures for the end of Tŷ Pawb’s first year in operation. It was also suggested that more information on the advisory board and its work was provided at the next meeting, along with input from volunteers and traders who work in the centre. Meeting wraps up – with note from Chair that there was some doubt if the report was coming to committee ‘too early’ but says it has been a useful exercise. Going outside to warm up! Clr Roberts says trial run in Tŷ Pawb ‘failed dismally’ for council meetings. Officer points out there are no mics there, and acoustics not designed for meetings, and mics did not agree with systems there. Snuggled in a coat with zipped fleece Clr Jenkins encourages Wrexham Council to ‘put a penny in the slot for next meeting so there is some heat in here’. (Turn off the air con…!) Cllr Hugh Jones invites use of Tŷ Pawb ‘as it is always warm there’. Cllr Davies also adds her thanks to a council officer for ‘always being there’ in Tŷ Pawb and warm welcome, Clr Hugh Jones interrupts and corrects her. Awkward moment as she points out she knows who she was talking about…! Clr Roberts says he has had ‘some very good answers’, with Committee wanting end of year report in 2019 (likely May) to give a full year view to scrutinise. Clr Davies wants more detail to figures. Clr Roberts on a roll asking more questions, now on bar in Tŷ Pawb, given back by to council run than third party. The two who were running it left meeting earlier. Officer says it is an ‘opportunity’ and agrees it is ‘favourable’. Clr Roberts asks on gallery closure due to water issue, asks if any costs recouped from contractors or similar. Clr Hugh Jones says ‘full cost recovery’ took place and issue was resolved at no cost to council. Clr Roberts says it is ‘unsatisfactory’ there are no footfall counters installed, so proper data can be collected. Manual headcounts are infront of cllrs today. Technical issues cited by Officers, all now resolved. Meeting told counters in place for Xmas. Officer notes a ‘soft launch’ was planned for the January, notes build period was unchanged, but was 12 months starting from March. Clr Roberts explains Q based around if any £ penalties if build dragged. Officer confirms no, and contract on time. Committee has no more Q’s so meeting Chair has his go. Clr Roberts notes Tŷ Pawb was to open in January 2018 but ended up April, and asks about issues on depreciation if moves to a Trust. Also – internet says Oymyakon in Russia is coldest place on earth. That is untrue. It is this row of chairs we are on as this council meeting room has air con blasting us with arctic conditions. Turn it off, save electric, open a window if warm (it is not). Clr Hugh Jones says one role of Advisory Board is to advise Executive Board on future model. “It is envisaged there will be a governance model that will separate the day to day running of Tŷ Pawb from wrexham council” if economically viable / legal. Tŷ Pawb Advisory Board Chair Derek Jones says 8 members including ‘marketing and PR’ expert, has met five times since June. January will be ‘first full meeting’, as they move on from being in from ‘receiving mode’. Clr Davies asks about Advisory Board, says last thing committee heard was recruitment was underway. Also asks for future reports to include feedback from volunteers, traders, visitors etc as current report does not have them. Clr Hemmings ask about vacancy rates and mobile phone mast. Officer says no income expected from mobile mast. Another officer explains occupancy is good – one new food stall sounds imminent ! Cllr Roberts ask again about the on costs, saying he was ‘concerned’. Officer explains there will be no impact on the current projected figures so the overall financial figure for Tŷ Pawb before cllrs unaffected. Clr Roberts thanks the new er, clearer clarity. Council Officer has pulled up the report from 2015 we posted pic from, explains was a match funded bid figure. Figs in 2015 were from *earlier* business plan with some other consultants, rather than the other consultants that did the original plan. Clr Davies asks for support costs for Tŷ Pawb, officer says will be in year end numbers. Clr Davies reasks if there is an estimate as will be cross charging as per every other council department. “Have we got a forecast?” Officer: No not as yet. Clr Hugh Jones replies question on where support costs are in the plan, by giving a run down on the education provision in Tŷ Pawb. Clr Davies points out she used a school as example for such costs. Officer points out Tŷ Pawb ’as an entity it costs us less’ than Peoples Market / car park and Oriel did together – and indicates the arts service has effectively been safeguarded due to the redevelopment. Seems Committee have had an email circulated earlier showing positive elements of the centre. Cllr Lowe says hes been through Tŷ Pawb over the months ‘its not as busy as you would want’. More long of a statement from him than a set of questions. The only trader (Alex Jones – here as Town Centre Forum chair) here is leaving turns to public gallery says ‘waste of time’ and goes – committee didn’t ask him anything. His business partner in Plât Bach Sam Regan also leaves. Cllr Skelland rolls up his elongated point, noting the net £200k surplus of Peoples Market into council coffers historically, and comes to quite a broad question of “What is the future?” Cllr Hugh Jones says it is ‘difficult to know where to start’…. as he replies. Clr Skelland says his constituents grumble on Tŷ Pawb ‘you have spent £4.5m on that place’, ’very few people there’, says he defends it but adds ‘when I walk through in the week the footfall does not mirror what we read here, or when you talk to market traders’. Officer says Oktoberfest ‘worked in part for Tŷ Pawb’ but one afternoon element ‘despite reassurances by organisers public would have full access it did not happen’. Gives reassurance ‘that sort of event we wont be hosting again’ noting it as lessons learnt. Cllr John Pritchard “It is good to see things are a success”, cites complaint from resident for being ‘refused entrance’ to Tŷ Pawb on 20th Oct. ‘Gives bad impression of Tŷ Pawb’. Says happened when ‘Cyclone Events’ were in the venue – assume Oktoberfest. Officer explains Tŷ Pawb car park is doing better than expected as the expenditure is less on overheads than the original business plan had thought. Security was £25k in orig plan, now £9k as comes under a council contract. Officer says “Marketing was set at £75k and felt that was not required, and revision down to £40k has been made” and ‘developing’ what they do, sounds like they are looking to use boosted posts on Facebook to ‘get more prominence’ for their social media. Cllr H Jones adds: “Traders are definitely not an afterthought, they are an integral part of Tŷ Pawb.” Officer says no like for like figures possible to compare Peoples Market to Tŷ Pawb. Cllr Marc Jones says of Tŷ Pawb marketing: “I look at social media, I don’t see it popping up as I would expect it to.” Points to possible algorithms being to blame, gives credit to Advisory Board Chair’s personal efforts. Cllr Marc Jones winds up his questions by saying he feels ‘it was open before it was ready’ noting various issues on opening day / weeks. Disputes the 100% occupancy stats, says ‘perception’ is traders are afterthought and there has to be a true ‘marriage’ in the centre. Cllr Marc Jones asks who’s decision it was to change the business plan, and who’s decision was it not to go to a trust. Goes on noting the 50k footfall figure ’target’. Says per-day that figure ‘is not ambitious’ and asks for Peoples Market data. Cllr Marc Jones says it appears to him there has been a ‘fundamental rewrite of the business plan’, picks through several figures noting how they are reduced off the original plan. Asks how council have come to figs, compared to consultants plan written by ‘experts’. Cllr Marc Jones kicks off questions, but swapping mics as they are not working as per usual. Gives preamble that ‘Wrexham is a cultural town’, says Tŷ Pawb adds to the ‘rich mix’. Says there has been upturn after a ‘shakey’ summer. Clr Paul Roberts introduces various people at the table, with Derek Jones the Chair of the Advisory Board. Alex Jones, Chair of Town Centre Forum here too. Not intro’ing the rest, good as there are loads! Cllr Hugh Jones says Tŷ Pawb ‘is a jewel in Wrexhams crown’, says ‘always a temptation to measure success entirely in monetary terms’ and points to ‘thousands’ visiting and the community benefit of the centre. Adds ‘picture is a very positive one’. Cllr Hugh Jones reiterates his ‘delivered on time and on budget’ comments on Tŷ Pawb, says it is anticipated footfall numbers this year will be double what was planned. Current trader infront of us shakes his head. Unusual nature of the Scrutiny goes on – Cllr Hugh Jones presents the report with backdrop of a presentation of images of Tŷ Pawb and various facebook comments being displayed on the rarely used screen in this meeting room. Committee being ushered to make space for the number of various council officers / staff etc here – an unusually large amount!